Your home is full of valuable things, but one area that tends to get overlooked when it comes to home security is storing important documents. 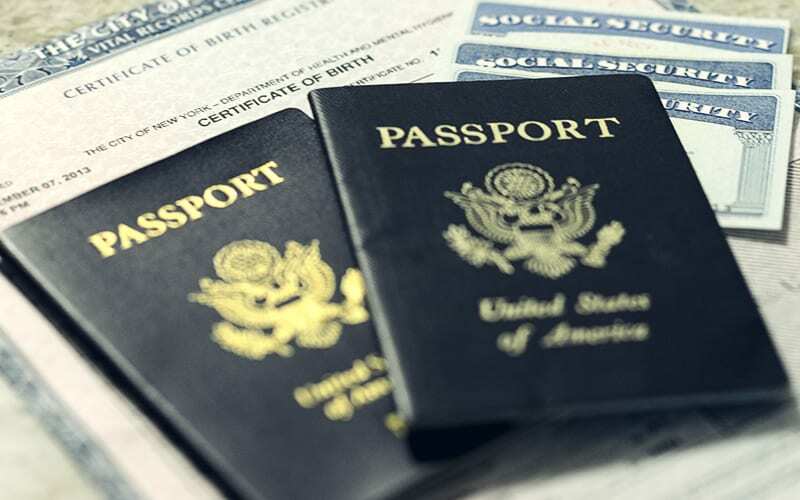 A Consumer Reports National Research Center report found that one in four Americans have either lost or forgotten a financial document and only 40 percent could locate important documents if needed. But beyond knowing where your documents are, there are some documents, like social security information or tax returns, which can be just as tempting to a burglar as your big screen TV or your electronics. Take a look below at five important documents you should store and ways to keep those documents out of the wrong hands. While you can get rid of supporting documents after three years, your annual tax returns you should keep forever. The IRS only has three years to perform an audit, so once that time passes, it’s ok to toss the rest of the documents. Likely, your original will is kept with your attorney, but you should have received two copies. Keep one copy in a safe deposit box and another in a locked safe at home. Every family member has a birth certificate. Make copies to keep in your files at home and keep the originals in a safe deposit box. You may need to access the information on birth certificates, so keeping a copy close by is a good idea. Keep your social security card locked up in a safe at home. Don’t carry it around with you in your wallet, as that’s an easy way to have it, and your identity, stolen. Now that you know five of the most important documents to keep safe, you’re going to need to know how to properly and securely store the papers. When storing important documents, you have two goals: keep the information close at hand, in case you need to access it and keep the information safe from theft, fire, or other emergencies. Your best bet with storing important documents is a safe deposit box. Most banks or credit unions offer safe deposit boxes. Some banks will offer a discount if you’re a current customer as well. A safe deposit box is perfect for storing original documents, like birth certificates, wills, social security information, annual tax returns, and power of attorney. The key with a safe deposit box is to plan ahead. Because the box is at your bank or credit union, you can’t quickly access information, if needed, so make copies of documents with information you may need at a moment’s notice to keep at home. For documents you keep at home, or copies of documents in your safe deposit box, get a home safe. It should be fireproof and have a secure locking mechanism. Having a safe at home helps you keep these items safe from people you don’t want accessing your personal information, as well as any emergencies, like fires or floods. When storing your documents in a safe, you’ll want to protect them from any wear and tear, sunlight, or accidental spills. One way to do this is by using plastic page slips. Put documents in a plastic sleeve and then file in a binder or box. The binder can then go inside your safe. Each document should be in its own plastic page. At least once a month, shred your receipts, credit card offers, bank statements, expired credit cards, and utility payments you no longer need. Don’t ever throw out a receipt that came from a transaction you used your credit card with, as your number and/or name is likely on there and criminals can use that to their advantage. What other tips do you have for keeping important information safe?